Located northwest of Dalhart, TX approximately 15 miles on Hwy 87. Property fronts the highway on the north side. 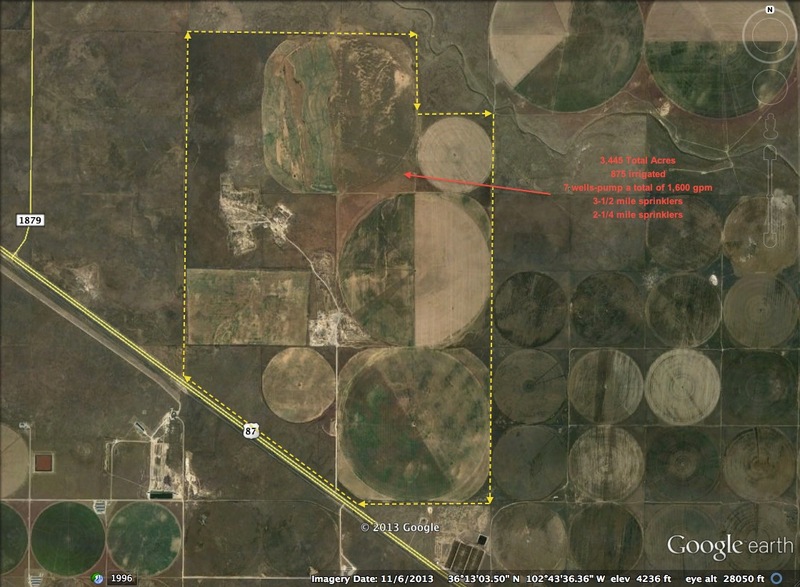 Total acres of 3,445 with 375 acres of corn and 500 acres of wheat, balance of acres are dry land and grass. There are 7 wells pumping a total of 1,600 gpm. 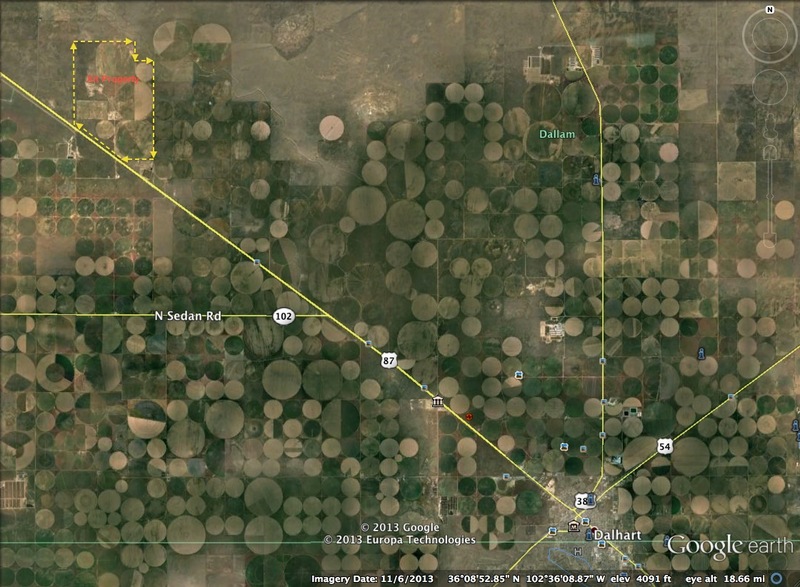 Property has potential for additional wells.